I love this stuff!!! And I don't use this flavor!! But my grandchildren love it!!!! And when they're at the house, they want this stuff morning, noon, and night!!! A GREAT BABYSITTER!!! 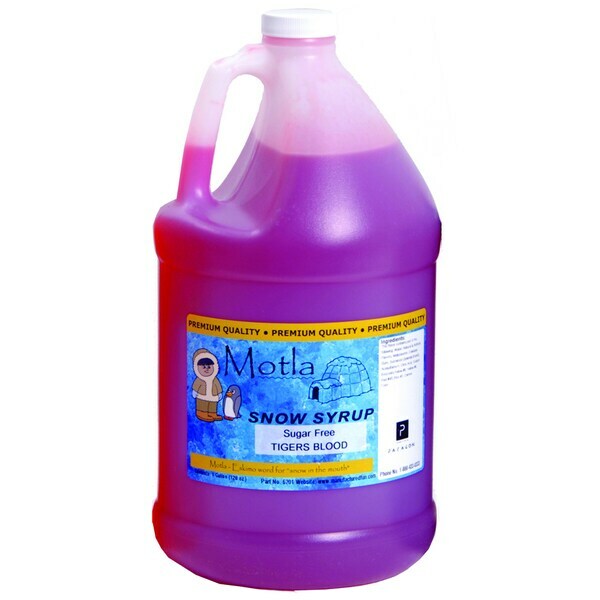 Motla Sugar Free snow cone syrup features a special Splenda mix for awesome low-calorie taste. Each gallon of syrup is made with the finest ingredients providing the truest, most mouth-watering flavors with no mixing required. This is great if you are looking to cut calories. Has a great flavor & the syrup lasts a long time. Fun product. Nice to find something sugar free! Great treat for those trying to avoid the sugar.